It is with very heavy hearts and tear soaked eyes, that my family and I mourn the passing of my loving wife Diane at 5:06 this morning. 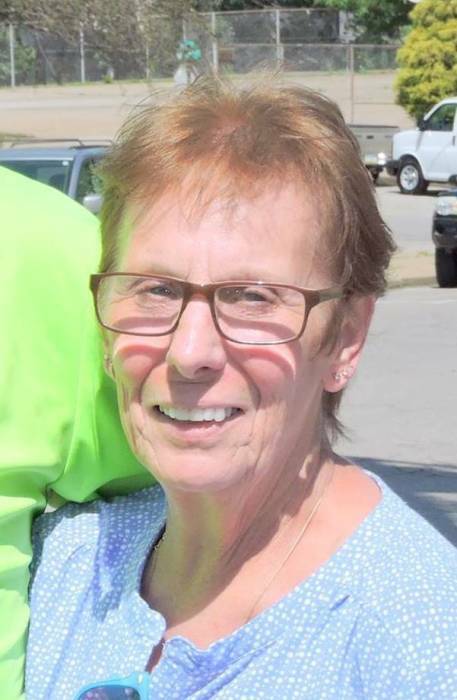 Diana M. Weatherly, 71, of Aliquippa, passed away on Saturday, November 10, 2018. She was born on March 9, 1947, a daughter of the late Ernest and Rose Marie (Crapis) Johns. She was a member of St. Frances Cabrini Catholic Church. Diana worked at Kaufmann’s in Rochester where she met her husband, Daniel. She and Daniel then transferred to Kaufmann’s at the Beaver Valley Mall. She later worked in the Bakery at Shop-n-Save in Rochester until her retirement. After retiring, she joined Daniel again as both began working for Maronda Homes. In addition to her parents, she was preceded in death by two sisters, Linda Johns; and Lisa Johns. Diana is survived by her loving husband, Daniel “Boone” Weatherly; a daughter, Dana Crabtree-Miller and her husband Brian; two sons, Bobby Crabtree; and Daniel Weatherly, Jr. and his wife Melissa; eight grandchildren, Anthony Robert Crabtree; Adam David Crabtree; Terasa Marie Crabtree; Joseph Thomas Ellison; Timothy Walter Ellison and his wife Nikki; Cameron J. Weatherly; Dylan Cambio; and Destiny Cambio; two great grandchildren, Cael Ellison; and Colton Ellison; and three sisters, Marianne Johns; Gina McClain and her husband Eugene; and Chris Fisher. Friends will be received on Monday from 6-8pm and on Tuesday from 2-4pm and 6-8pm in Darroch Cremation and Funeral Tributes, Inc. 2640 Mill Street, Aliquippa www.darrochfuneralhome.com where a Blessing Service will be held on Wednesday at 10am. Interment will follow in St. John the Baptist Cemetery, Monaca.